The phenomenon of metastability, explained as when a system is in a stable state which is not the one of least energy, can be largely observed in technology and nature. However, various features behind the mechanisms controlling the dynamics and behavior of such systems continue to be unrevealed. 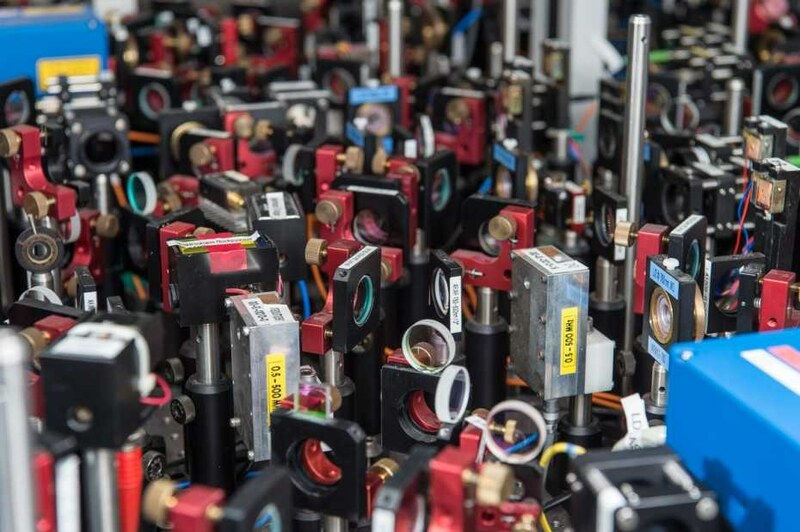 At present, ETH physicists have developed a propitious platform for investigating metastability on a basic level, by using a perfectly controlled gas including a few ten thousands of atoms. Whether it is snow sitting on a slope for many days before being disturbed by an overambitious skier, or macromolecular bonds that get drastically altered following suitable activation, systems that tend to be in one state for larger periods of times before rapidly switching to an energetically more favorable state can be found in various disparate contexts. Different features of metastability can be clearly understood; however, specifically, investigating the switching dynamics from one state to the other is highly difficult because there are very few tools to directly monitor processes such as these. Lorenz Hruby and his collaborators in the team of Tilman Esslinger at the Institute for Quantum Electronics have overcome the difficulty at a very basic level, as reported in a paper published online this week in the Proceedings of the National Academy of Sciences (United States). They formed metastable states in an artificial quantum many-body system, an atomic gas with accurately known basic quantum characteristics and with behavior that can be controlled with high flexibility and accuracy. In this system, Hruby and his colleagues noticed two metastable states set apart by the distinctive ways in which the atoms are arranged, implicative of different structures that can be adopted by macromolecules. Most significantly, they were successful in real-time monitoring of the manner in which the gas transforms between the two states. They discovered that at the time of the switching, several thousand atoms travel through quantum tunneling on the timescale in which typically single particles alter their position. As the prompt for that “tunneling avalanche,” the researchers recognized processes on the surface of the atomic gas. They used a theoretical model to compare the experimental observations and ascertained that the switching timescale is governed by interactions between the atoms themselves, and not due to external control parameters. Crucial for the process to occur was the potential—first introduced by Esslinger’s team in a prior study—to allow the atoms to interact simultaneously over short (atom–atom) and long distances, as to allow the particles to be part of the sort of complicated interplay that opens the door to interesting characteristics in a wide range of materials and, simultaneously, to connect the surface of the system with its core. The research by Hruby and his colleagues offers basic understanding of metastable states of matter and of the processes of switching between these states. The superior degree of control exhibited in these experiments, along with the ability to directly compare experimental outcomes with theoretical models, signifies that experiments such as these would offer a versatile platform for investigating the dynamics of metastable states and associated processes with unmatched detail. Hruby L, Dogra N, Landini M, Donner T, Esslinger T. Metastability and avalanche dynamics in strongly correlated gases with long-range interactions. Proc. Natl Acad. Sci. (USA) doi: 10.1073/pnas.1720415115(2018).